You may have seen us mention it on Facebook recently, and if you didn’t, ‘like’ us now! The guest of honor at the Baltimore Comic Con in August is Stan Lee! You barely see me write about comics on MLD, but even I know this is a big deal. Of course, this is a must see for PTB, so we will be there representing the site. 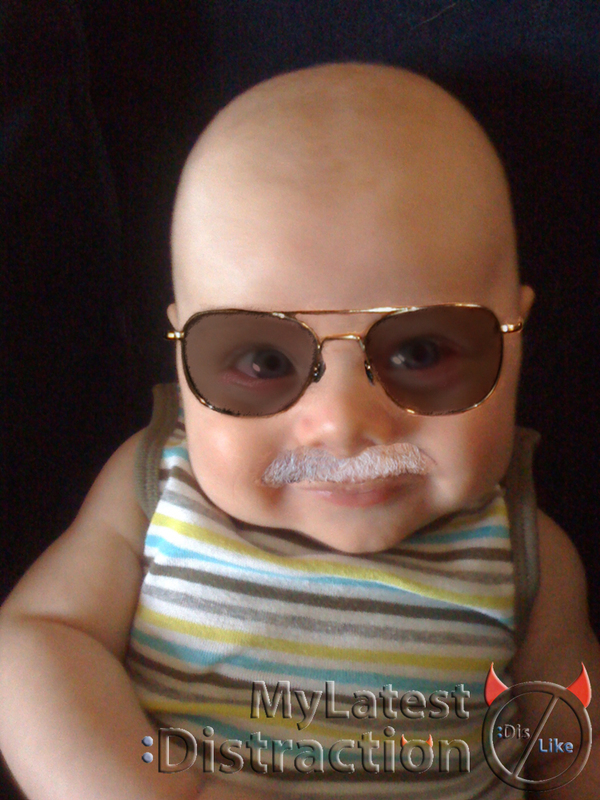 We are even thinking about dressing Ben as Stan Lee since he will be meeting him too. PTB will have far more to say about the subject soon. We’ll be prepping our readers for Baltimore Comic Con throughout the month of July. But for now, I wanted to get the word out there and give you the chance to get in the VIP line for Stan Lee! You can buy tickets for the show, for an autograph, for a photo, or for all three and a “Fast Stan” line on the BCC website. Let us know if you will be there! MLD BCC meetup? Tags: Baby Moustaches, Baltimore Comic Con, Stan Lee, Why haven't you liked us on Facebook yet? 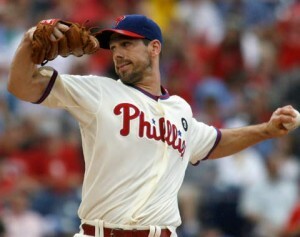 The Philadelphia Phillies had a fantastic game last night behind another complete game shut out from Cliff Lee. The win came against the Boston Red Sox, one of the teams the Phillies have recently been vying with for the best record in baseball. Some are touting the series as a preview of this year’s World Series, but at the midway point of the season it may be a little early to say those kinds of things. Regardless, it’s a great inter-league matchup and my excitement over it led me to sports radio and a truly awful example of its target marketing. After our experiences with this show last year, I wasn’t really itching to return for this year’s Philadelphia Comic Con. In fact, I had all but forgotten about it until an opportunity presented itself for a quick trip on the last day of the show. I have to admit, attending Sunday morning was a really pleasant surprise and more than enough to merit a return in 2012. 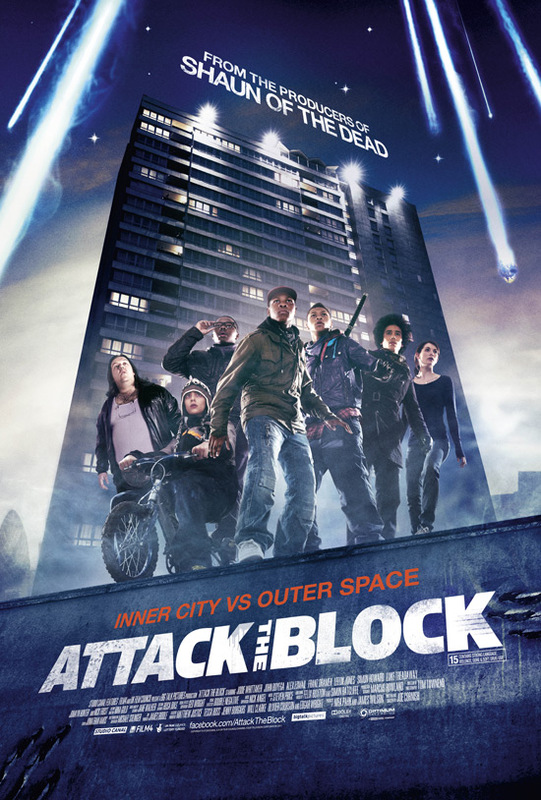 Attack the Block is a new British film written and directed by Joe Cornish and executive produced by Edgar Wright of Shawn of the Dead and Scott Pilgrim vs the World fame. The story pits teenage London street thugs against an alien invasion. The film made a lot of noise at festivals this Spring, which led to rumors that it would be released with subtitles in the United States due to concerns that Americans would not be able to deal with all the British slang featured in the dialogue. Thankfully, the version I saw was not subtitled and while I may not have understood every bit of dialogue I don’t think it hurt my appreciation of the film. I will mention that there was one Pokémon joke during the movie that I heard repeated aloud by probably five people because the person next to them had missed it the first time. I don’t know that this happens very often in Major League Baseball, but with a postponed game from April 16th that was made up yesterday afternoon and a day game today, the Philadelphia Phillies just won their fourth game in under 48 hours. Factoring in an hour and twenty-minute rain delay before the start of Tuesday’s game and the speedy two-hour and twenty-one minute game behind Cliff Lee today (a complete game shut out, by the way), the Phillies actually picked up four wins in forty-three hours and one minute. 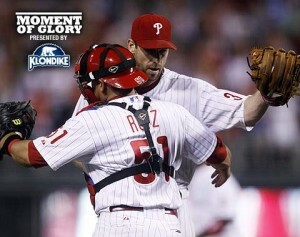 Tags: Philadelphia Phillies, Phillies scheduling oddities, Phillies win one game every 10 hours 45 minutes, Who is in the Stanley Cup Finals?